Proofing was done around the homeowner’s deck to prevent the skunk from getting access under the deck. 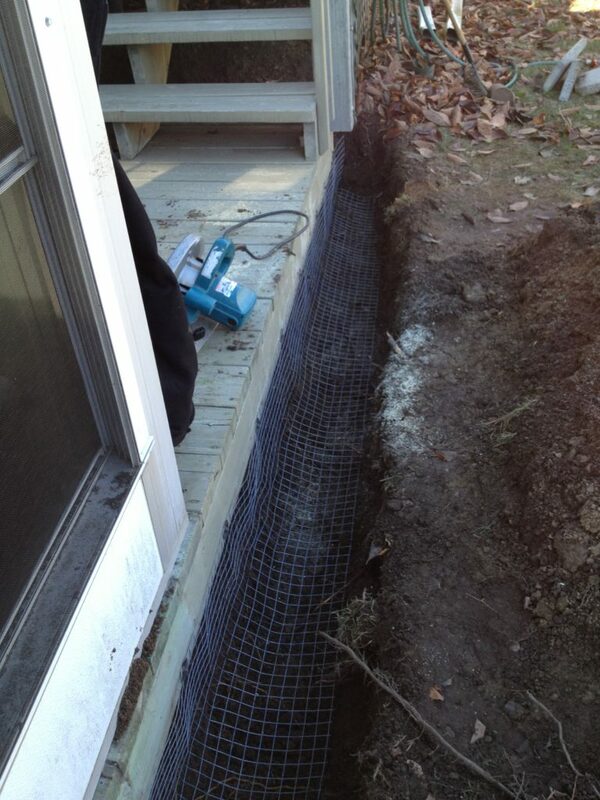 One of our customers in Belleville noticed a hole in the ground near their deck. The landscaping around the area was all dug around and ruined. They believed that there was some type of animal living under their deck. Our Wildlife Technician visited the home and inspected underneath and around the deck, and found that there was a skunk living there! 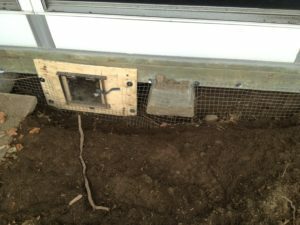 They installed proofing around the deck and a one-way door to allow the skunk to exit. The customer was happy to have the skunk gone and relieved not to worry about getting sprayed. 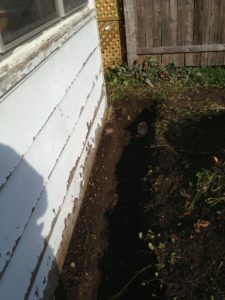 The first step to treatment for a skunk is digging a trench all around the area of invasion. The next step for skunk removal treatment is installation of a one-way door. Skunks are not good climbers. However, they are good a digging holes. They will dig holes underneath your property to make a nice den for them to live in. One of the common areas where they will do this is underneath your deck. In the process of getting under your deck, they may cause some costly damages. They can cause damages to the wood, and to the landscaping around the deck. Of course there is always the unlucky chance that you or even your domestic animals will come across the skunk and get sprayed. The smell is very difficult to get off, and which can take a lot of time out of your busy day. If you suspect that you have a skunk or some type of wildlife living underneath your deck, we recommend that you seek professional help. Dealing with the animal yourself can be dangerous. One of our Wildlife Technicians will visit your home and complete an inspection of the area to determine where the animal is getting in and dwelling. They will do an exclusion treatment and install a one-way door to allow the animal to exit. Exclusion means proofing the area of entry to make sure that the animal is not able to re-enter. We also offers a variety of warrantees to make sure that the problem is completely taken care of. Call us today for more information about our skunk removal services, and to get help dealing with any of your wildlife problems!